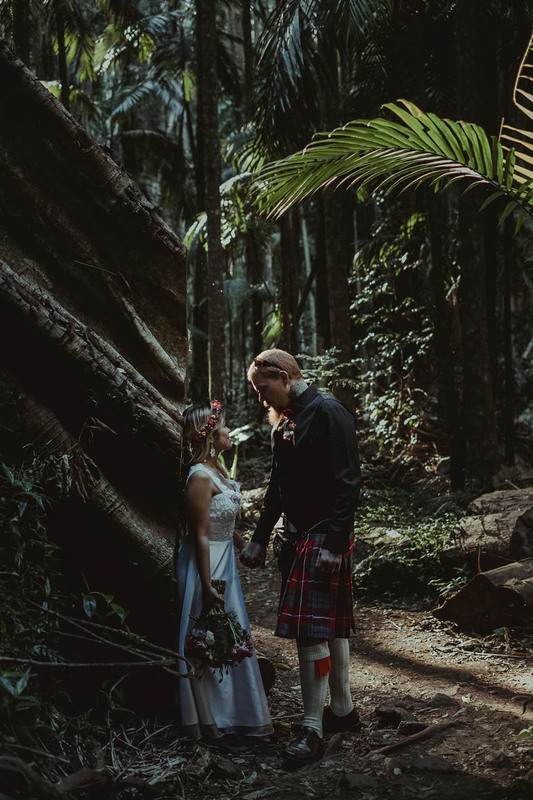 Till a' the seas gang dry"
Rosie and Matt were super excited to run away from it all, to elope at Tamborine Mountain. 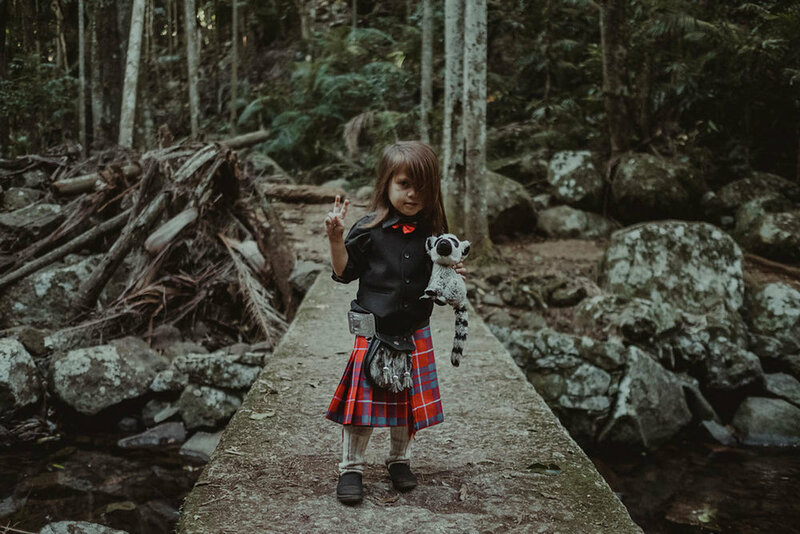 So they packed their bags, booked their Ceremony date with Wildhearted & Hitched, and hit the road to Thunderbird Park, travelling in a Kombi called "Ketut". 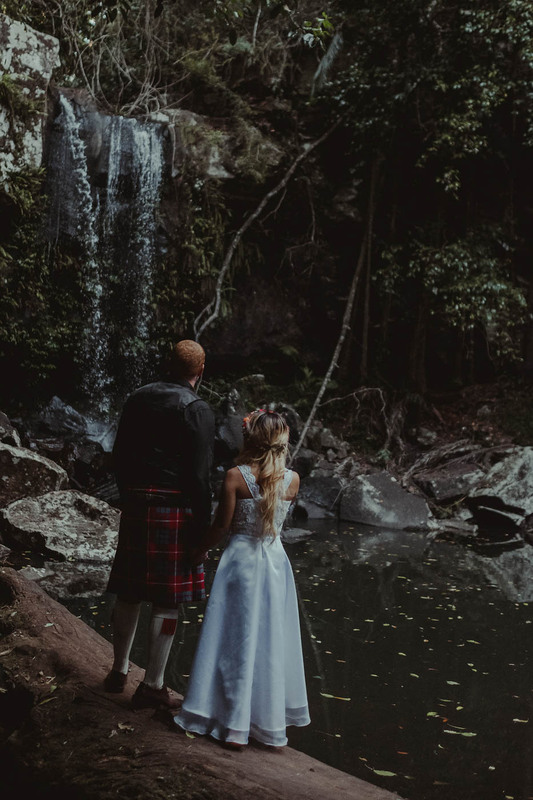 Rosie and Matt chose to hold their Cermony at Cedar Creek Falls, Tamborine Mountain with just their son and two friends as witnesses - Matt and his son both wore their kilts as nod to his family heritage. 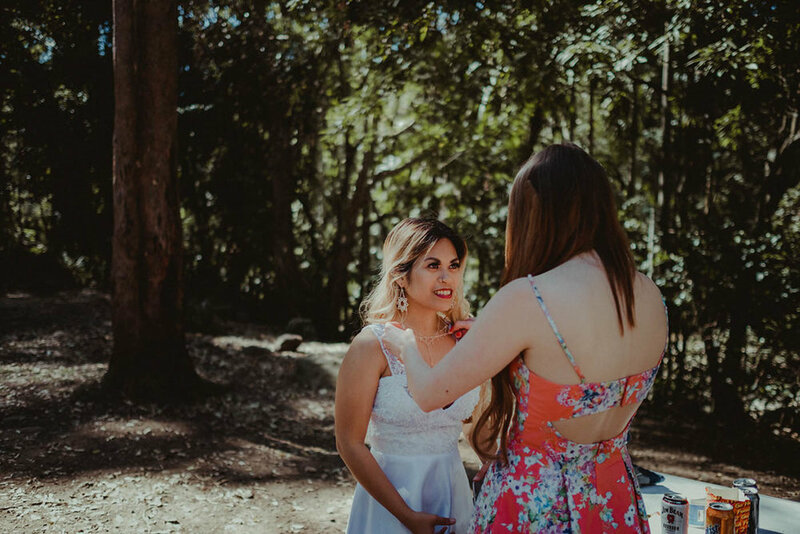 It was a spectacular day under the canopy of the Rainforest, and we heard it was also an awesome three day Kombimoon! What a down to earth and fun family!